But we’ll delve into Beaune’s history next Monday. A bit up the road, we find a map that provides much needed context (and direction). 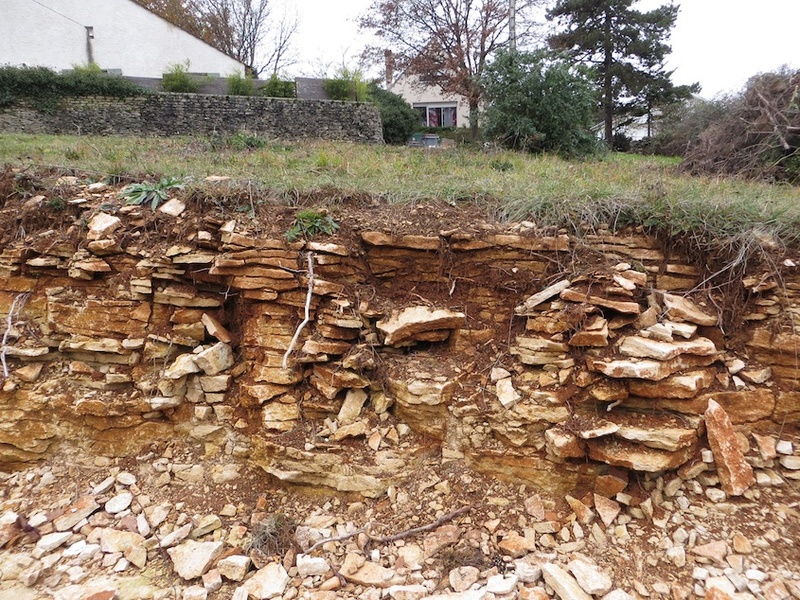 Nearing the top of Mount Beaune, a sliver of topsoil covers flaking, calcium rich bedrock. The dirt tastes bitter, bone-like, and silty, but somewhat like coffee. The chalk bedrock tastes like, well, chalk. 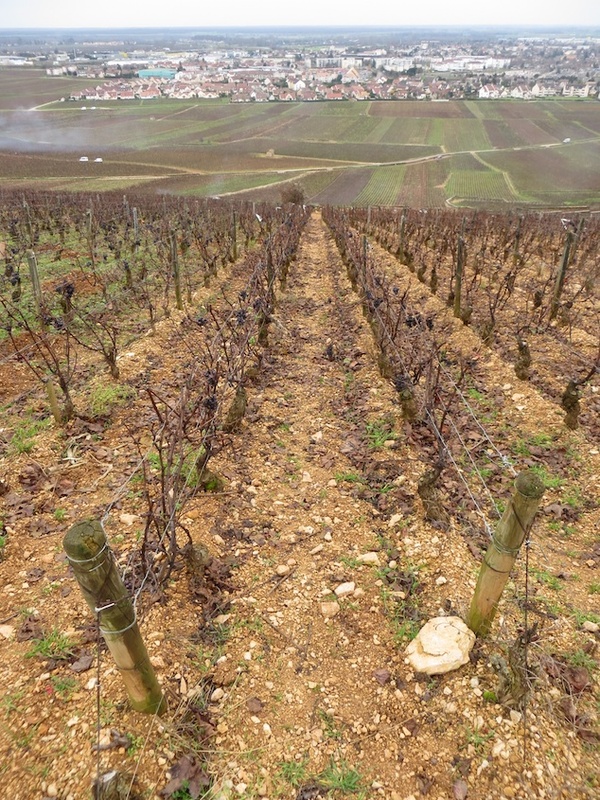 This difficult soil strains vines to the max, while providing stellar drainage in this wet, wet place. And then we get completely lost. Who knew a massive forest park topped Mount Beaune? Luckily, we find our way out. We tumble back into Beaune (more on that next Monday). But since we made it to this edge of vine-growing, we should try a wine from here. So what does all that chalk and altitude add up to? Appearance: It looks like a clear, light, bright ruby. Aromas: Clean, developing, medium plus intense aromas of strawberry jam meld with an over-toasted creme brûlée. Palate: This is dry, with medium plus acidity, flinty moderate tannins, a medium alcohol of 12.5%, all of which creates a medium body. Bright, edgy, but average. Flavors: Whereas the aromatics shined, here medium intense flavors of red grapefruit and cranberry juice, cigar, dried herb, and chalk persist for a medium plus length. 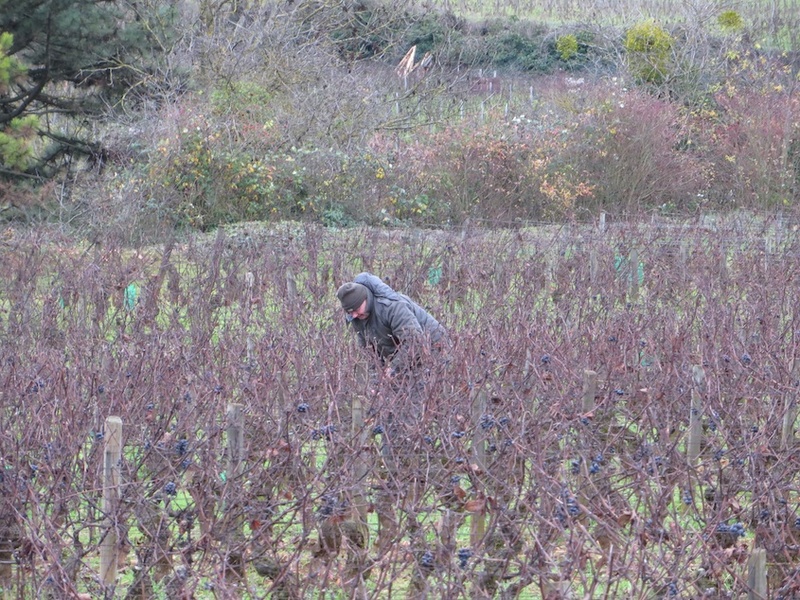 Nuiton-Beaunoy, Le Mont Battois is very lean, sprightly, but needs a roast turkey or chicken. The extreme strains of growing high up Beaune’s slopes denies this wine premier cru status, let alone standard Beaune AOC status. It is good (3 of 5) and completely true to its place and price, but not compelling. Next Monday continues our tour of the city of Beaune and its famed Hospices de Beaune: home of wine’s greatest auction. 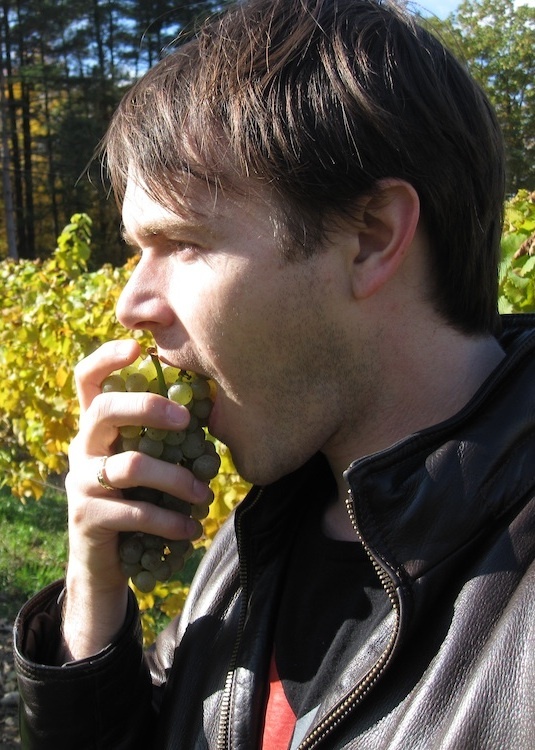 This entry was posted in Uncategorized and tagged Beaune, Bourgogne, Burgundy, France, grapes, Hautes-Côtes de Beaune, Nuiton-Beaunoy, pinot noir, Tour, vineyards, wine. Bookmark the permalink. You even make soil samples interesting. Want to hike that area. It is probably gorgeous in fall…when it’s a touch warmer. What a fantastic look at the vineyards of Beaune! Liked and shared!